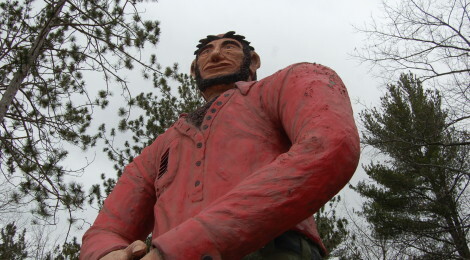 When it comes to roadside attractions in Michigan, few are larger than those dedicated to a larger than life folk hero: Paul Bunyan. 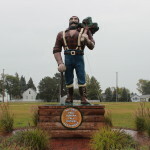 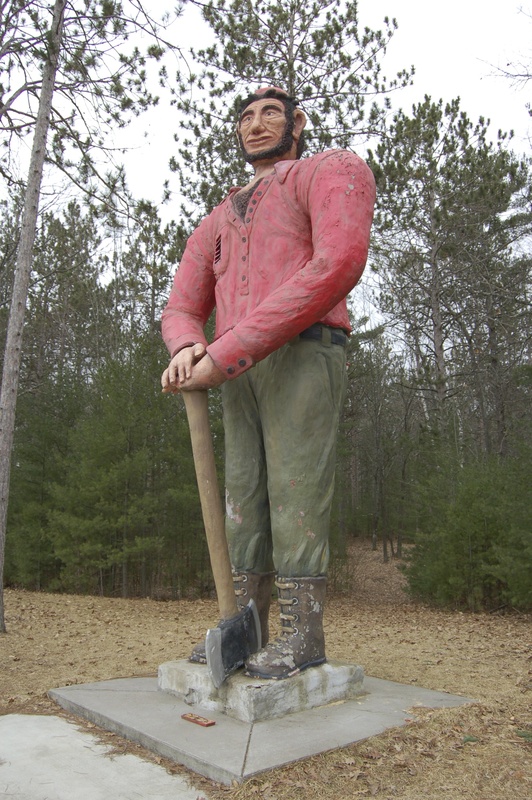 Ossineke is one of six places in the U.S. (including nearby Oscoda, MI) that claims to be the birthplace of the legendary lumberman, and this 25 foot tall statue is a way for them to help stake that claim. 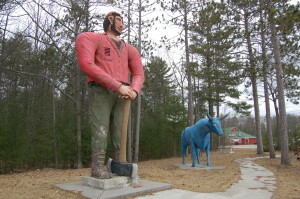 Unlike the statues in Manistique and Oscoda that depict the lumberman flying solo, this roadside attraction features Paul Bunyan & Babe The Blue Ox, his trusty sidekick. 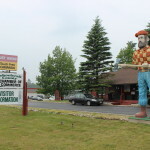 When we visited recently, we found easy access right off of US-23, parking in the IGA lot across the street. 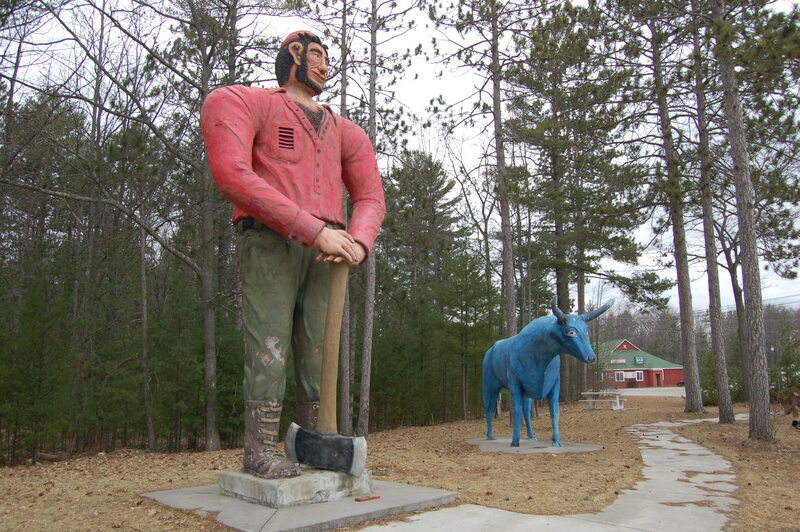 Both statues appeared to be in need of a fresh coat of paint, but overall they have done a good job of withstanding the elements over the years. 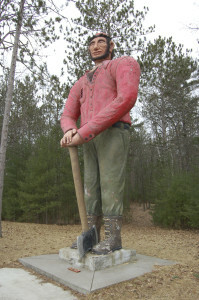 Both statues were previously located in Spruce, an unincorporated community in nearby Alcona County. 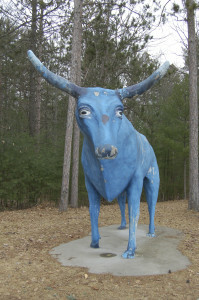 They were moved to their current location in 2006. 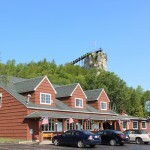 Definitely worth a quick stop if you find yourself driving up or down the Lake Huron shoreline north of the Thumb!